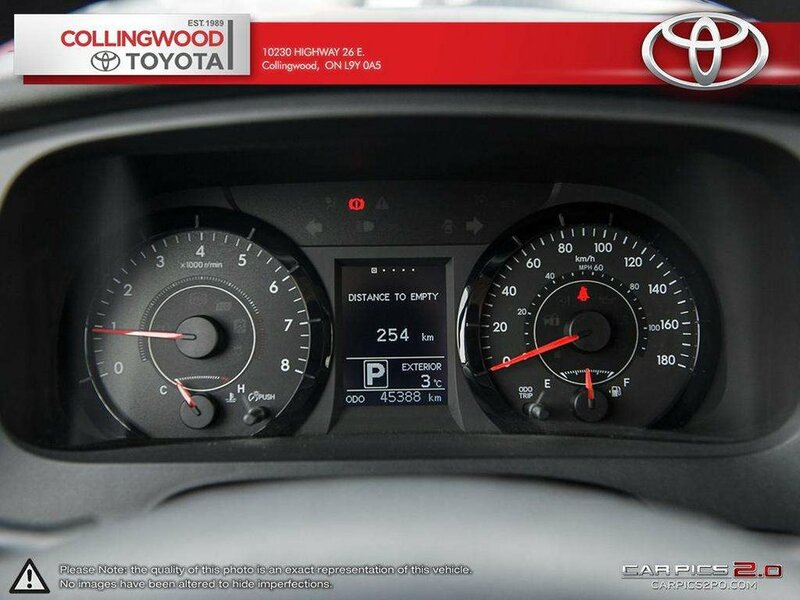 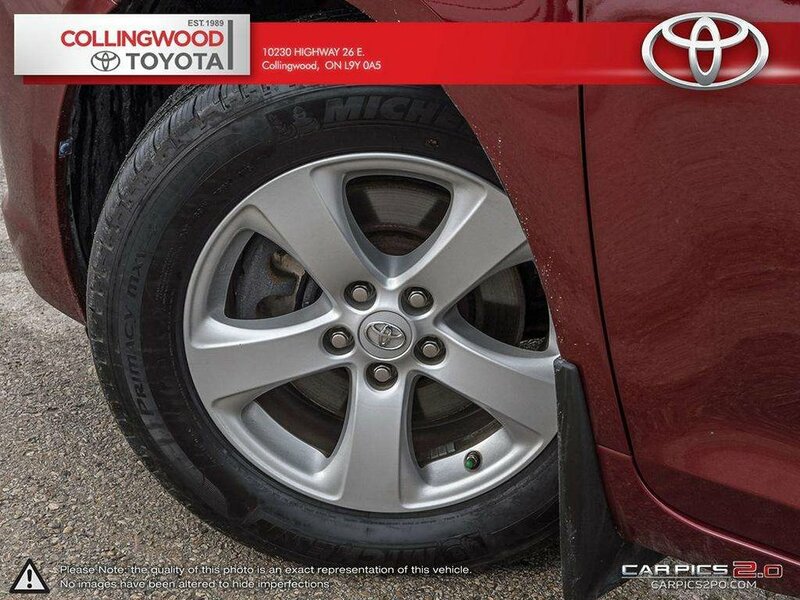 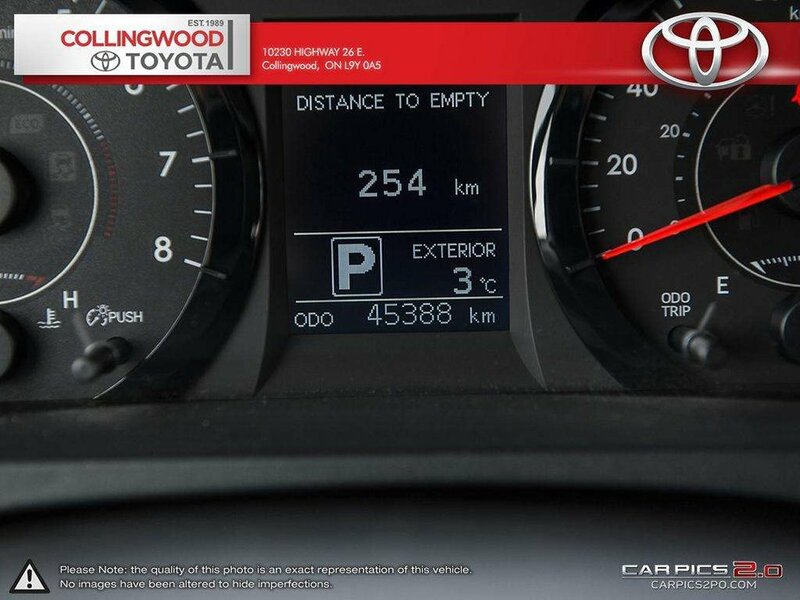 Toyota is known for being at the top of the charts when it comes to reliability and safety. 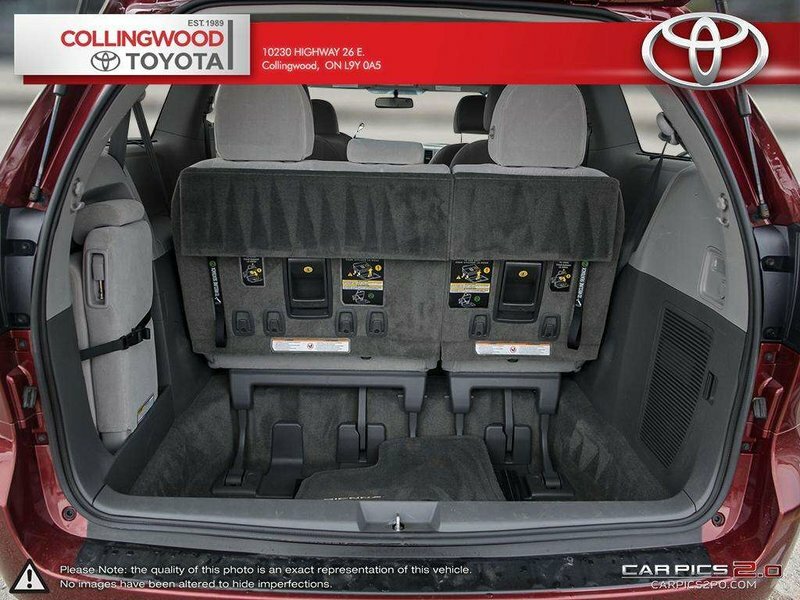 That is just what you would want in this family hauler! 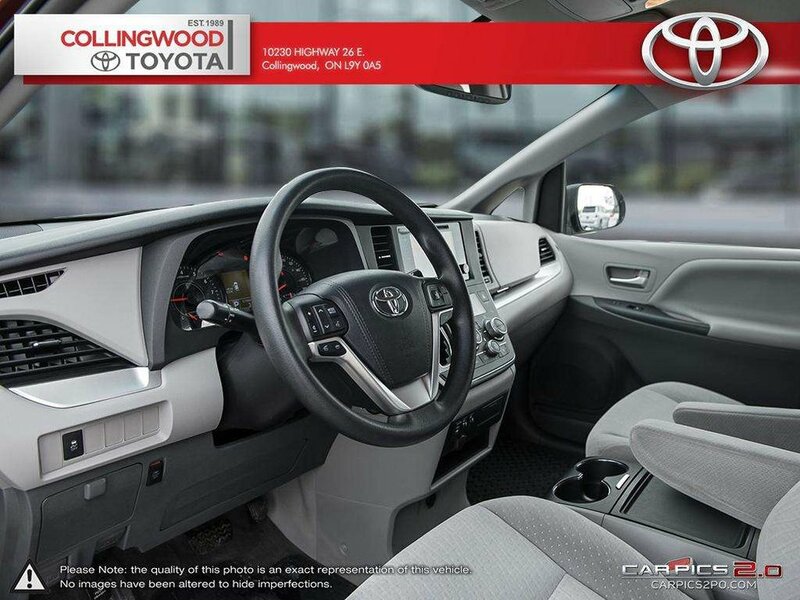 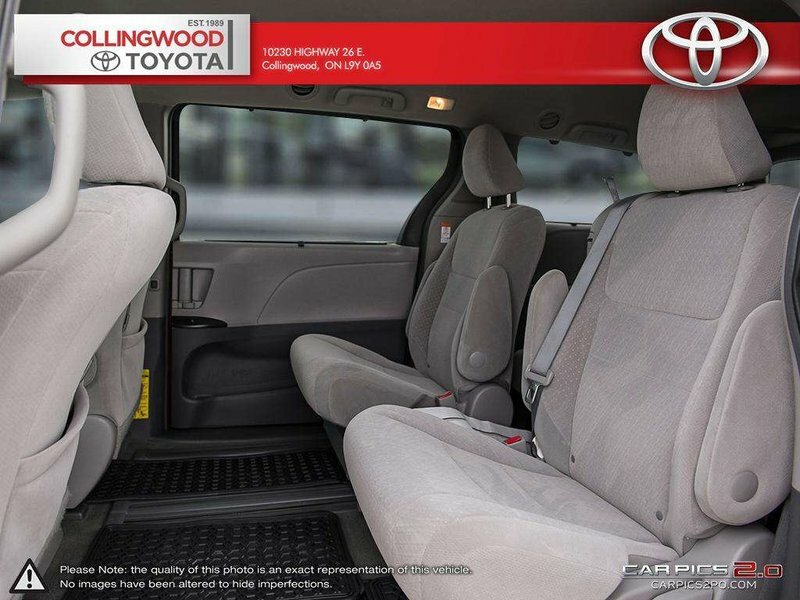 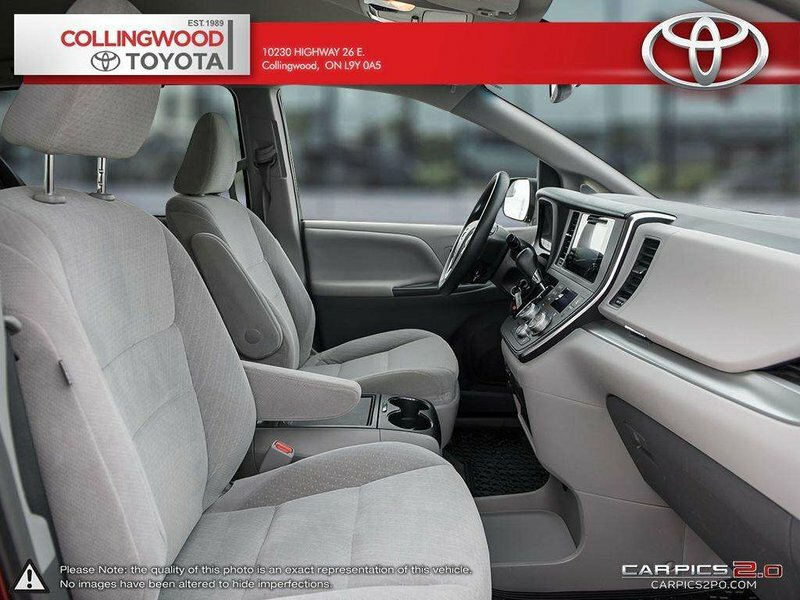 Whether it be precious cargo, or many of people, you will have room, comfort and features to enjoy. 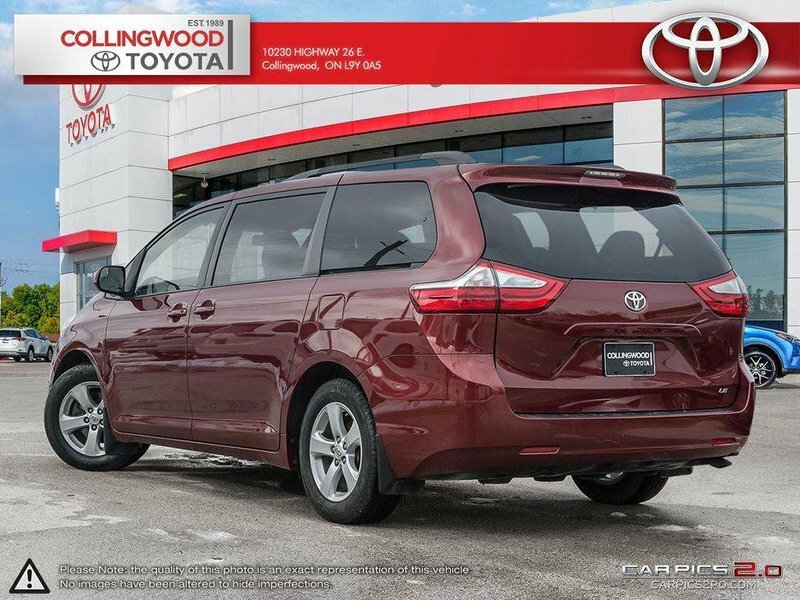 This great van will bring plenty of peace of mind. This is a Toyota Certified Pre-owned vehicle meaning it has passed an additional 160 point inspection beyond regular safety. 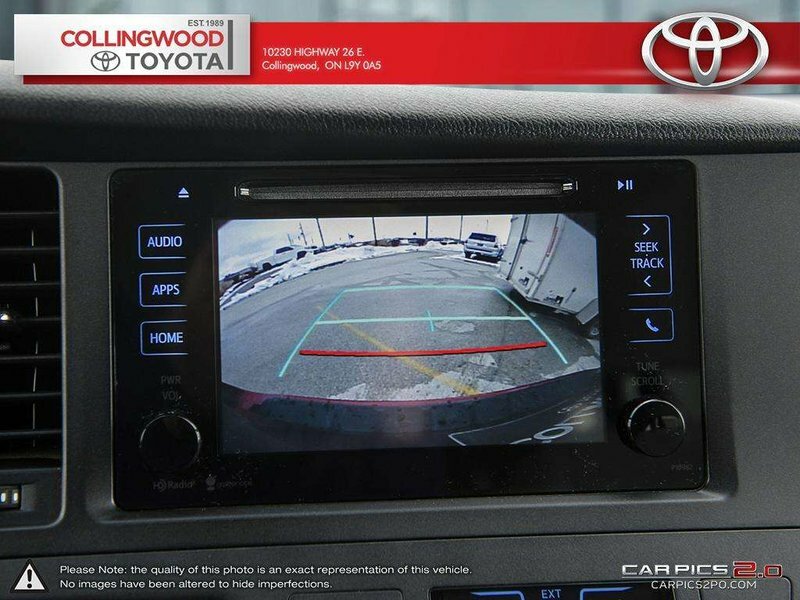 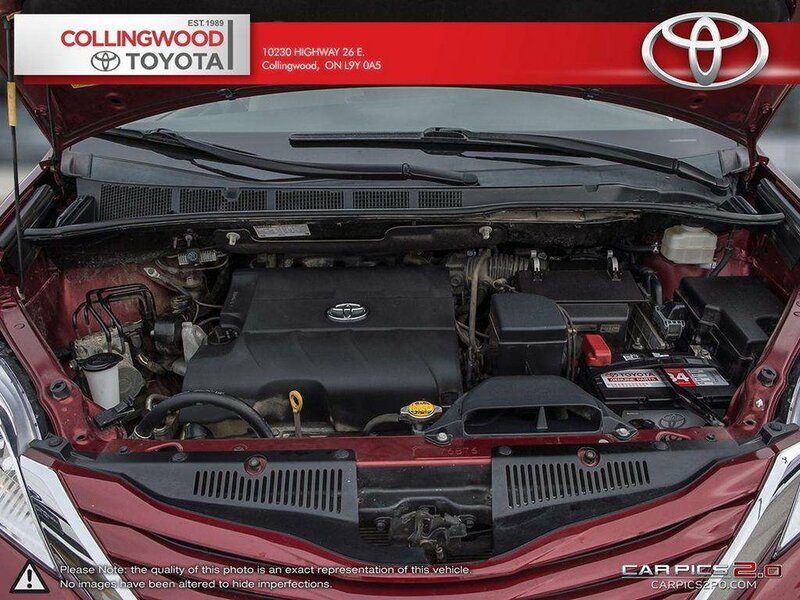 It has the balance of factory warranty, has only had one previous owner who purchased and serviced the vehicle right here at Collingwood Toyota and it has an accident free, clean Carfax report! On top of this fantastic history you can also enjoy plenty of features. 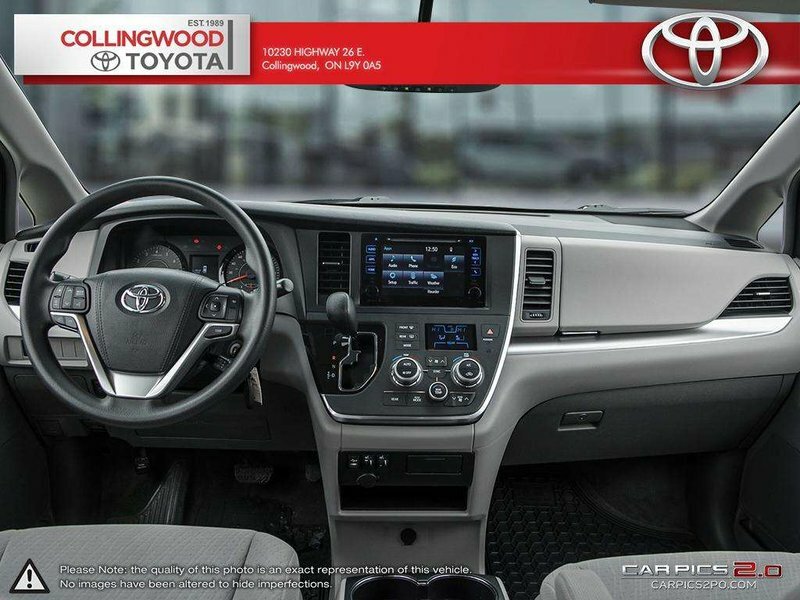 8 passenger seating, power windows, power locks, power rear doors, AM/FM/CD/MP3/WMA, audio auxiliary input jack, USB audio input, Bluetooth capability, integrated SiriusXM satellite radio, 6 speakers, advanced voice recognition, phonebook and streaming audio via Bluetooth, 7 inch display audio screen, power adjustable drivers seat, alloy wheels, keyless entry, automatic climate control and more! 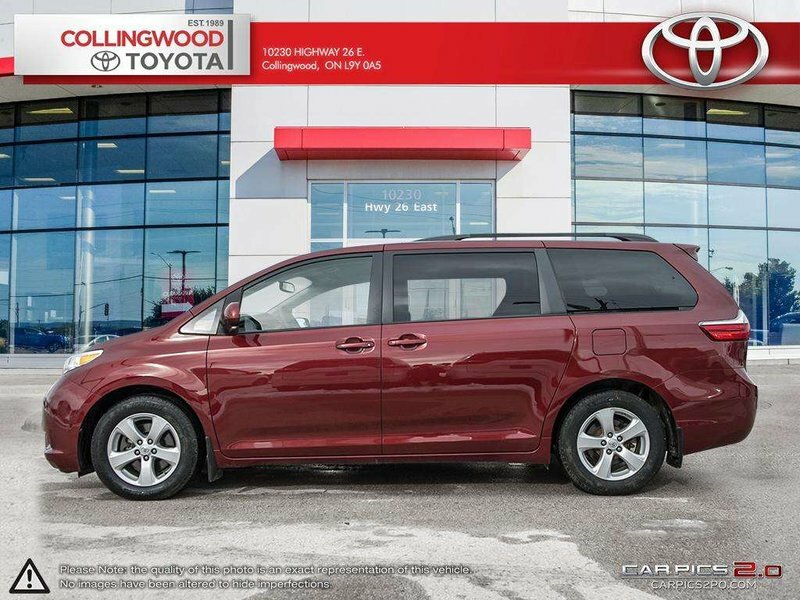 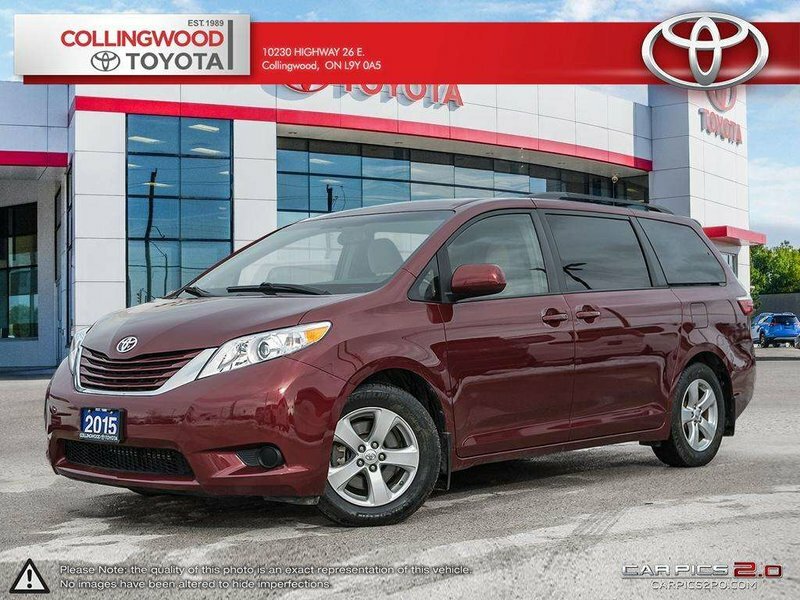 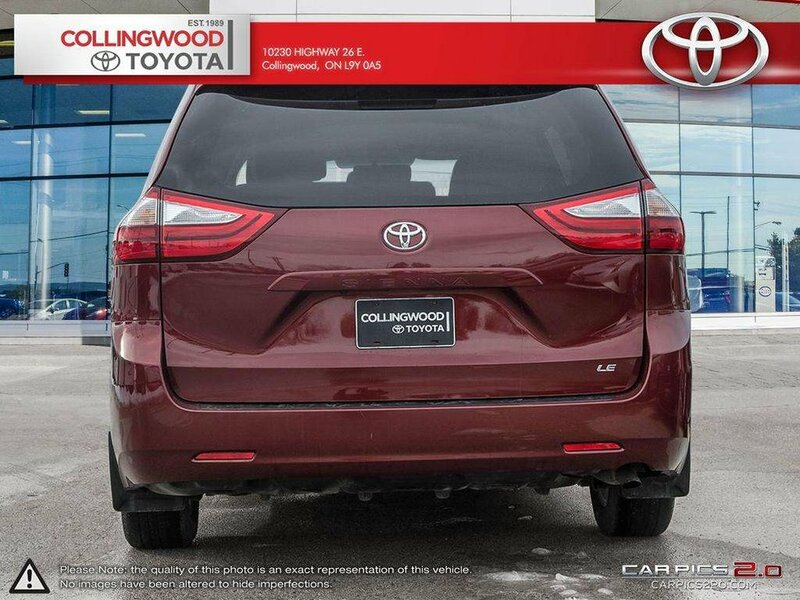 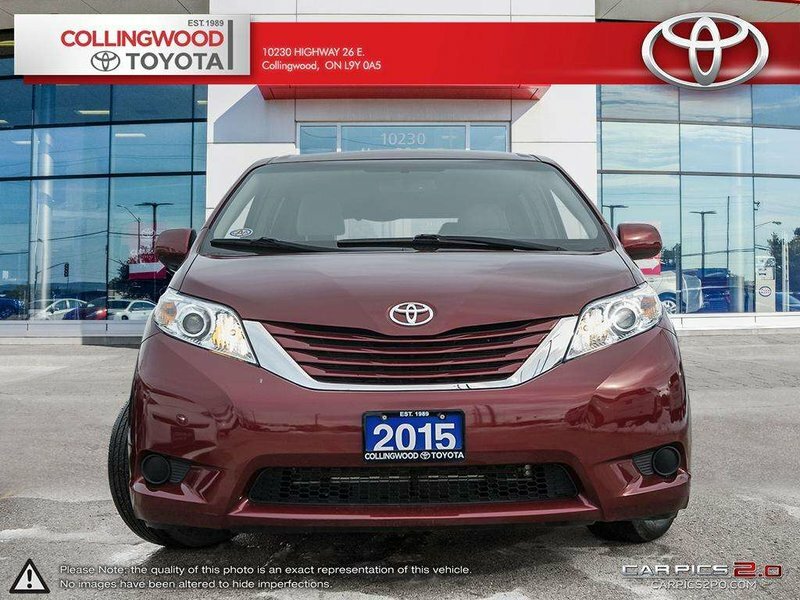 Don't hesitate to call on this great vehicle, give our Sienna experts a call!